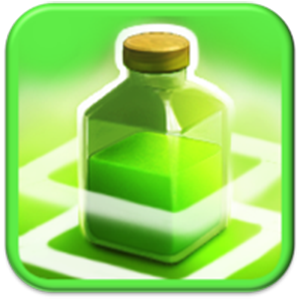 The Jump Spell Tactics is one of many Spells Tactics in the Clash of Clans game. Common information about the Jump Spell is Here. Make sure to always use the Jump Spell near Walls! If you accidentally use the Jump Spell elsewhere, it will have no effect, wasting the Jump Spell, your Elixir and your time. This Jump Spell is more effective on doubled or tripled Walls; otherwise the Jump Spell is not utilized to its maximum capability, making it much less valuable to use. The effects of the Jump Spell do not change if you drop more than one spell in the same area, so be careful not to use two in the same place! Especially with the new Wall Breaker AI, Jump Spells can be quite useful for getting Troops deep into the interior of a base. Once Wall Breakers have initially breached the exterior Walls, any new ones tend to be attracted to adjacent cells rather than those behind the breach. A Jump Spell, however, can be placed behind the initial breach to quickly allow ground Troops access to the second layer of the base where the storages and heavy defenses (Mortars, X-Bows, etc.) are typically positioned. The Jump Spell make Troops go over Walls without having to destroy them – that’s bad enough if that happens on one layer. If your base layout is not good enough, the right placed Jump Spell will make them go over two (or even more) layers of Walls, that’s too much! Attackers, especially in the late game tend to use the Jump Spell to cross the last line of Walls in front of you Town Hall in the core or the outside ring. Try not to help them too much by placing the first and second line of Walls that close together. 5 tiles should be in between those line to be safe.